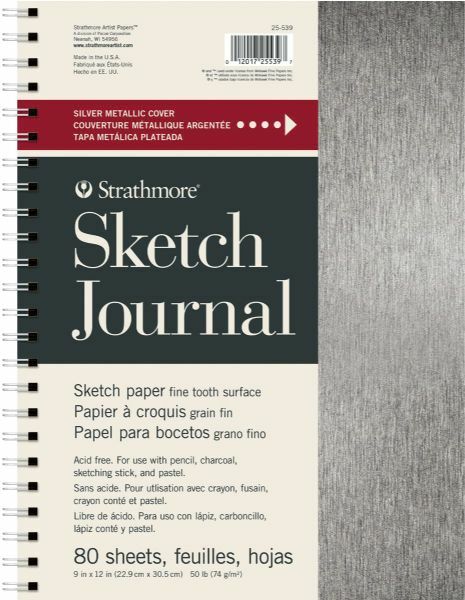 Strathmore Metallic Sketch Journal 9" X 12"
Lightweight paper that is ideal for sketching and practicing techniques with dry media. * These fashion inspired journals feature an 18 point simulated hammered copper or brush silver journal cover while still being an economical option. * Journals are constructed with a metallic printed chipboard backing and heavy-duty wire binding.